We are delighted to officially announce that our brand, Bellary Nature, won SILVER in the BEST Children’s Remedy category. Thank you so much. We are here because of all the support from you and this award really does mean a lot to us! The 8th Annual Loved by Parents Awards is one of the largest and most trusted parenting award program worldwide. 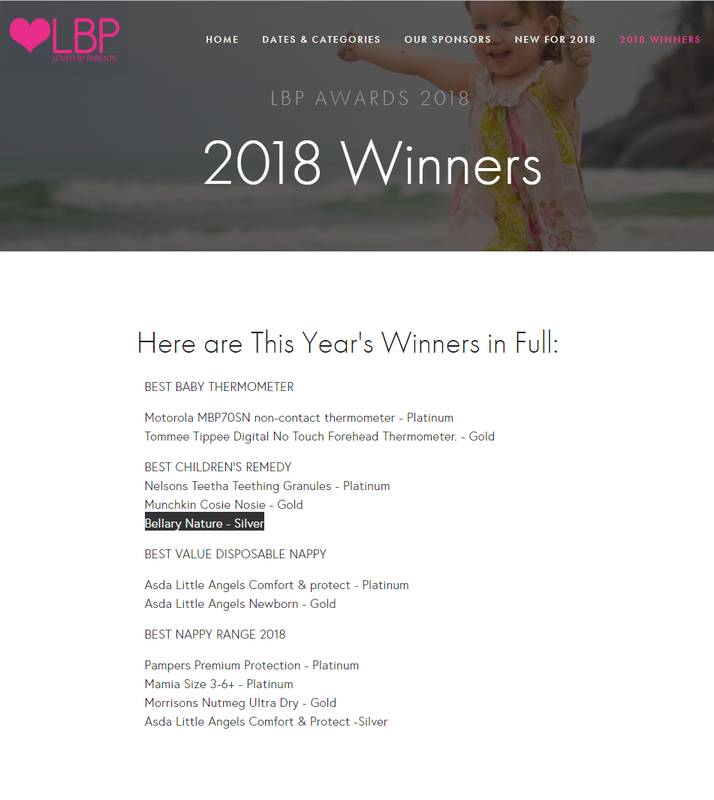 80% of parents surveyed said that they were most likely buy something if it had won an LBP award because it is a mark of outstanding quality and design. It reaches 6 million parents monthly with 680,000 social fans and 1 million video views. Each Product is Tested by Parents, and Voted for by Parents.